College is an expensive investment, not many people have the money upfront to pay for all their educations costs, let alone the additional costs of accommodation and course materials. Fortunately, the federal government recognizes how valuable graduates are and offer a number of loans to make it easier for students to carry on studying. As with any type of federal financial help, students who want to take out a Stafford loan must complete a FAFSA, Free Application for Federal Student Aid. This application assesses your eligibility and can be completed online, over the phone and even by post if you would prefer to fill out the form by hand. Firstly, Stafford loans have a low, fixed interest rate which makes them significantly cheaper than many private loans. The current interest rate is 3.68% for undergraduates and graduates PAY 5.41%. 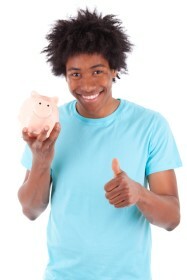 Another great feature of a Stafford loan is that borrowers do not have to pass a credit check. This makes it financially possible for those with a poor credit history to attend college. Flexibility is another perk of the Stafford loan. Students pay the loan back in flexible installments and they are not penalized for paying back their loan early. A Federal Stafford Loan is available in both subsidized and unsubsidized varieties, depending on a student’s financial situation. Unsubsidized loans are available to all students and, both undergraduate and graduates, regardless of their financial need and the amount that a student can borrow is determined by their school. In order to decide how much money a student can borrow, the student’s school looks at the other financial aid that the student has and takes into consideration the cost of their attendance. Students with an unsubsidized loan have to pay interest on the loan from when they receive the financial aid until the full amount of the loan is repaid. While unsubsidized Stafford loans are available to everyone, subsidized Stafford loans are exclusively for undergraduates from low-income backgrounds. Again, it is up to the student’s school to determine how much money they can borrow and oftentimes the amount lent does not completely cover all the costs.The major advantage of the subsidized Stafford loan is that the federal government pays the interest on the loan for at least half of the student’s degree and the first half a year after they have graduated. You will need to pay a small fee for taking out the loan, called an origination fee; this is equivalent to 1% of the loan amount. You will need to apply for funding every year. You do not have total control of the loan money; there are restrictions as to how you can use it. A Stafford loan is not going to finance your whole degree; you are likely to need additional finance. If you still have any queries regarding Stafford Loans, please contact us by using the form below and our team will endeavour to answer your question as soon as possible.